No, this is not an announcement of a new final between France and Croatia at the World Cup … but a story about French wine on Croatian soil. 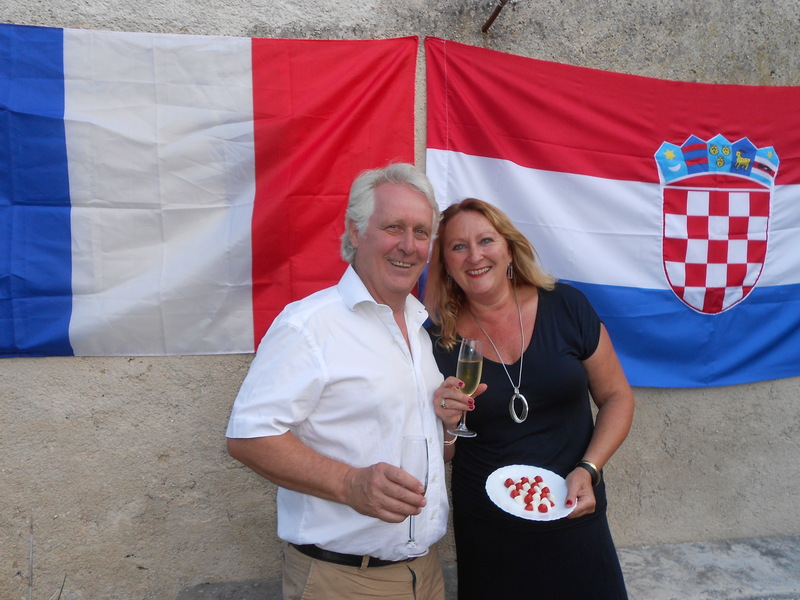 Olivier Ertzbischoff and Jacqueline Marovac are a French-Croatian couple who divide his time between France and Istria. In addition to their busy medical career (he as a cardiologist, as an epidemiologist), they had long been dreaming of making wine with a Burgundian signature on a terroir in the homeland of Jacqueline: Croatia. A few years ago, Domaine Koquelicot will also be the light of day. In addition to Domaine Koquelicot you can discover some novelties in the range as usual: a nice white blend from Armenia with Kangun, Chardonnay and Viognier, an orange wine and a surprising autumnal Rosé from Georgia and a new Sauvignon Blanc from Dalmatia. Of course, numerous “classic” autumn wines from New York, the Balkans and Austria are also tasted. Cellar debris from France and Chile can also be found on the head. As you know, European regulations for the protection of personal data or GDPR (General Data Protection Regulation) came into effect on Friday, May 25, 2018. The protection of privacy is very important for Wines Out Of The Boxxx. We have always been very cautious about data, have never passed it on to third parties and will never do so. We treat all member data as strictly confidential information, with the utmost respect for your privacy. Through this newsletter we therefore only wish to contact you with relevant information about tastings, other activities in which we participate or news from the wine world. However, if you do not wish to receive any more news from us, you can unsubscribe at the bottom of this newsletter with a simple mouse click. All understanding for your decision. You can always sign up again later, should you miss us anyway.